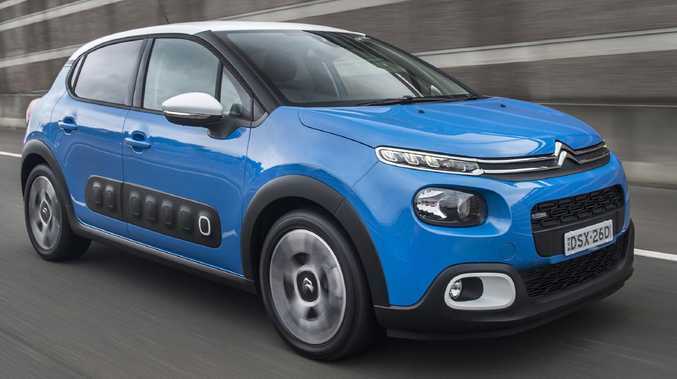 Citroen has lopped $3000 from the hatch's initial asking price at its March launch. It is now available from $23,990 drive-away. That money buys you 17-inch alloys, leather steering wheel, rear parking sensors, a seven-inch touchscreen that displays Apple CarPlay and Android Auto. For an extra $600, an integrated HD dashcam can be installed below the rear vision mirror to record an accident if you have one. 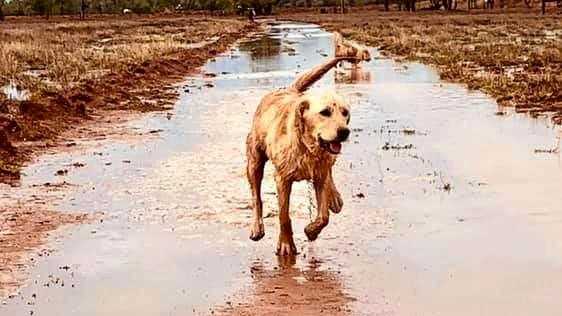 Warranty is five years/unlimited kilometres, while services are a bit pricey at about $500 a year for three years or 45,000km. Four adults will find the cabin roomy enough, as long as those up front don't use too much real estate. 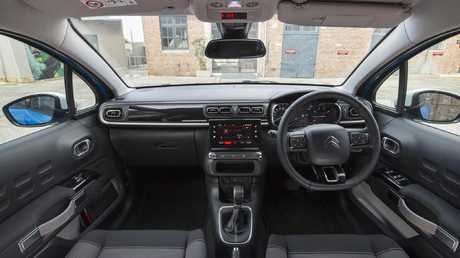 Designers have opted for modern minimalism inside and there are limited buttons or dials on the dash. That can be a pain at times, as you have to go through the touchscreen menus to operate everyday functions such as the airconditioning. Boot space is a tiny 300 litres and some of the storage spots are small and fiddly, while the cup holders only handle small takeaway coffees. The C3’s looks stand out from the crowd. 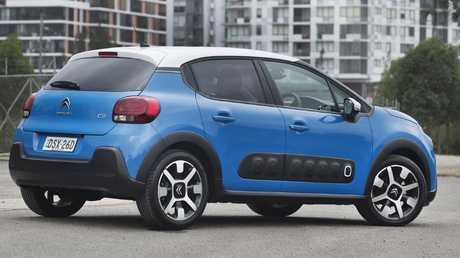 The C3 has a four-star crash rating due to less than ideal performance in pedestrian protection and a lack of driver assistance technology. There's no autonomous emergency braking, blind-spot warning or radar cruise control - functions which many competitors have at this price point. It does have a reverse camera, lane departure warning system, speed recognition and speed warning, as well as driver fatigue alert. City commuting is the C3's remit. Its tight turning circle is ideal for narrow lanes tight parking spots, while its thrifty 1.2-litre three-cylinder turbo engine uses as little as five litres of fuel for every 100km. It's high driving position make it feel more like a compact SUV. While the six-speed automatic gearbox is new, it fails to live up to its "Quick Shift" name. Changes are early, designed to deliver the miserly fuel consumption number, and it can take time to get moving off the line. Once it has gained some momentum, it has enough punch for urban commuting. The C3 has a minimalist layout with a many buttons and dials removed. Same 1.2-litre 81kW/205Nm 3-cyl engine as the C3, but a unique cockpit driver set-up and slightly bigger boot. It's doesn't have the same customisation options, but feels more planted on the road. The segment benchmark. The 1.0-litre turbo three-cylinder has less power (70kW/175Nm) but the Polo trumps the C3 in all-round performance with great steering feel and cornering ability. It's also roomier and more practical, although the more subdued styling may not appeal to the fashion conscious.